It’s been a while since I’ve had an Undercover Soundtrack guest, but that doesn’t mean it’s muted forever. I’ve been writing, and the soundtrack collection for my own book is almost as tall as its namesake (Everest). Meanwhile, I’ve bumped into a few people who would be perfect guests and this week you can meet the first of them – SD Mayes. Her novel is called Letters To The Pianist, which you’ll probably agree makes her the perfect first act for the second act of this series. Letters To The Pianist is set in the London of World War II and draws heavily on the author’s own family history. Music was a route map for the key emotions of the characters – from fantasy escape, feelings of teenage inadequacy and the feelings of wild abandon that come from communion with an instrument. Hop to the Red Blog to hear more. My guest this week says she usually finds music a distraction. She lives with music makers, and finds ‘other people’s sounds’ are too intrusive. But that changed when she started writing a crime novel about a teenage friendship in the 1980s/1990s. Listening to the music of the time helped her re-understand what life was like at that age. Gradually, it helped her tune into the characters and became a place she chose to be rather than an irritant to tune out. From listening to music about her characters she finally discovered, as she puts it, ‘music for me’. She is the award-winning poet, novelist and novella-ist Heidi James and she’s on the Red Blog with her Undercover Soundtrack. When I invited my latest guest to the Undercover Soundtrack, she told me we’d met before, IRL. At a writing conference, she’d asked my advice about working with editors. A few years on and she has a novel with a very respectable endorsement from Esther Freud and Kirkus reviews, so it seems everything went well. The novel is the story of three generations of women in a village in the Ukraine, and she developed a playlist of music that would create the rich landscape of place and emotion she hoped to put on the page. Some of the music also gave her a mindset – the patience and purpose to refine every word, which was probably where she was when we met at the writing conference. I’m so chuffed to see her persistence paid off and to introduce her properly here. She is Leonora Meriel and you can read her Undercover Soundtrack on the Red Blog. Pull on your boots. My guest this week had a radical change in music taste when she reached her 30s, and she hopes to convert you too – unless you’re already a fan of country. It started when she moved out of Chicago and found that the sensibilities of country singers were more in tune with her new environment. Not only that, she realised they were wry, witty storytellers, writing about characters complex enough to satisfy any novelist. 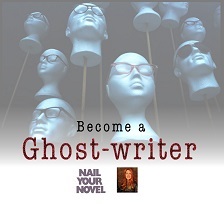 Soon they were guiding the way her stories developed. So come to the Red Blog and join a twangly, poignant chorus of Dolly Parton, Frankie Laine, Johnny Cash and Garth Brooks, all on the Undercover Soundtrack of Victoria Dougherty. My guest this week is another returner to the series. When she posted about her first novel, her preoccupations included memory and time, and they return again in this new work – a romantic thriller based around the twined stories of an ancient memoir and the world’s first Tarot cards. Music was key to creating these different lands and lives and her mental soundscape includes a tour through ancient Egypt, Milan in the 1400s and the modern seers Dead Can Dance. She is Gwendolyn Womack and she’s on the Red Blog with her Undercover Soundtrack. 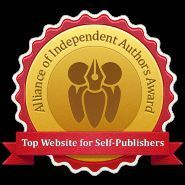 My guest this week is one half of a collaborative writing team known as ‘Christoph Martin’ – which is actually the two minds of Libby O’Loghlin and Christoph Martin Zollinger. Together they are writing the Expansion series of four political thrillers, and music became a common language that helped them keep their ideas in tune. Spanish-language pop from Nicky Jam helped establish some of the locations; Benjamin Clementine suggested a plot twist; and when a character faces terminal illness, David Bowie’s final album Black Star was a guiding light. 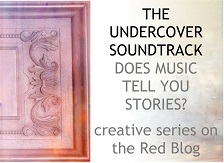 They’re on the Red Blog with their Undercover Soundtrack.